It was England’s loss when Al Johnson emigrated to Canada in 1955. For five years prior, he had earned recognition in the fields of motocross, grass track, road racing and had competed at a newly paved-over grass track called Brands’ Hatch. So determined was he to compete that after breaking a leg in a scrambles event that threatened to keep him from competing at Castle Combe, he painted the cast black and cut off the bottom so he could use the foot peg. No one noticed and he placed second. 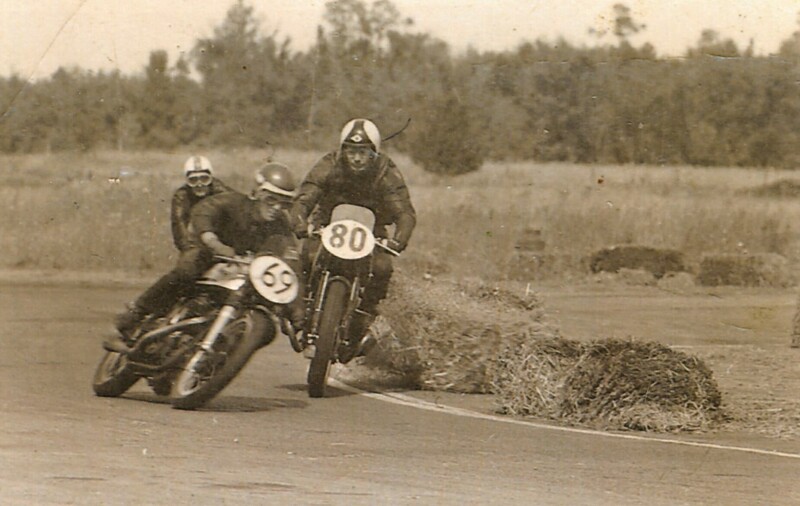 When Al first arrived in Ontario with his brother, Don, (who was also a competitive rider) he had no idea that there was road racing until he saw a bike in a dealer’s window. Racing fever hit again! 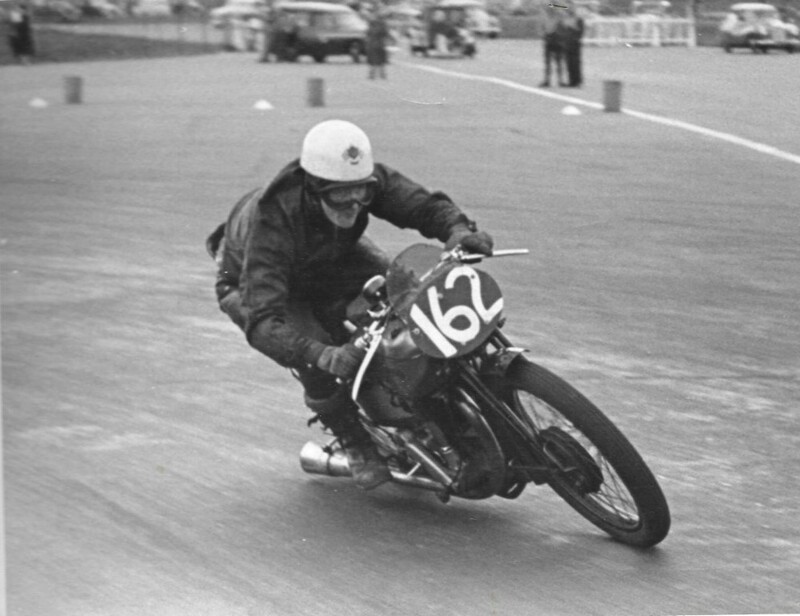 Al’s first Canadian race was at Harewood Acres in Jarvis, Ontario in 1958 and he managed a first in the Junior 500cc Unlimited Class as well as second overall. His machine of choice, which was to always remain a favorite, was a Manx Norton. He was referred to in the CMA News as “The Man from Nowhere” because of his quick climb to success. 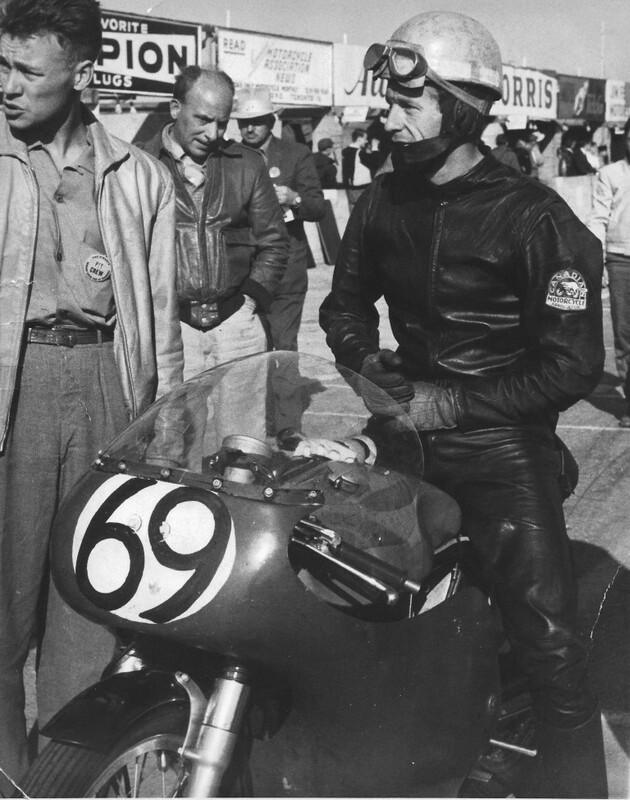 He was known for his cornering style; legs tight to the bike, so close to the ground that he often badly scraped his fairings (to the dismay of a few guys who had unsuspectingly given him their bikes to try out!). One of the first modifications he made to a new bike was to cut the foot pegs down after a toss earlier in his career from a peg catching on the ground. He was also known for his humor and his easygoing, gentlemanly nature but once on the track, he was a formidable competitor. Al was most recognized as #69 or #438, sporting a medium blue helmet with a horizontal white dashed line circling it. In 1959, Al took first in the Open Class at Edenvale and placed second for The Kaye Don Trophy at Harewood along with the fastest lap time; first in the Lightweight class on a Parilla and first in the Open Class on a Manx Norton at Edenvale’s Fall Race. The winning continued into 1960 with a Lightweight win at Edenvale and Harewood Acres, and a first in Harewood’s Grand Prix. 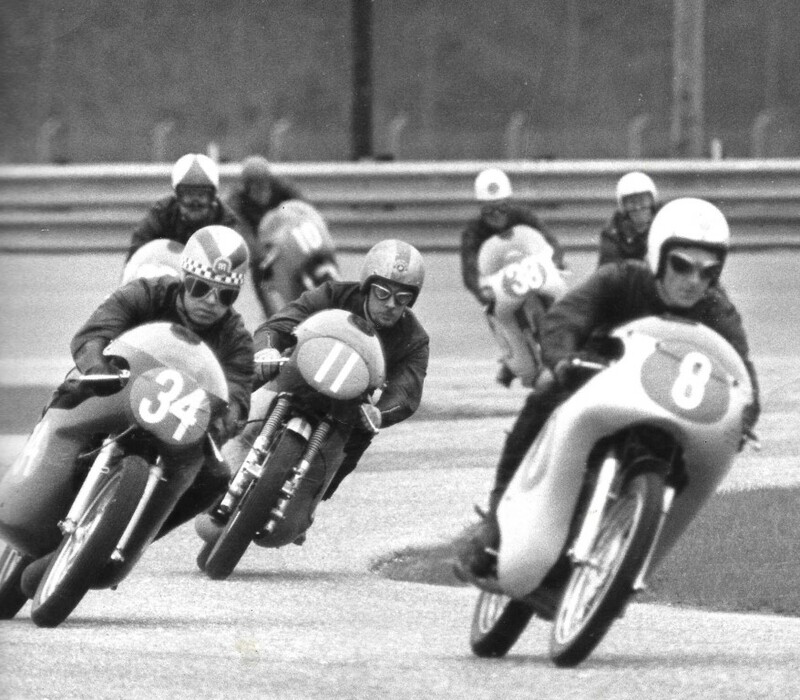 When the Mosport track opened in 1961, Al took first place in the International Lightweight Class on a 175cc Ducati as well as fastest lap time. He competed with many of the biggest names of the era: John Nelson, Ivor Lloyd, Tom Faulds, Don Haddow, Mike Duff, Dave Lloyd, Bill Sharpless, John DeGruchy (all recognized by the Hall of Fame) as well as many others. In 1965 Al competed in the World Championship at Daytona (one of two times at Daytona) on a BMW Rennsport sponsored by Oscar Liebmann; he was running in fifth place until the spark plug cover came off and still managed to finish in eighth after having to pit to replace the plug cover. He also ran the Rennsport at Sebring and Mosport. Al ran the first Yamaha dealership along with his brother Don in Mimico, Ontario from 1964-1966. Family obligations caused them to close the shop and racing took a less prominent role in Al’s life. 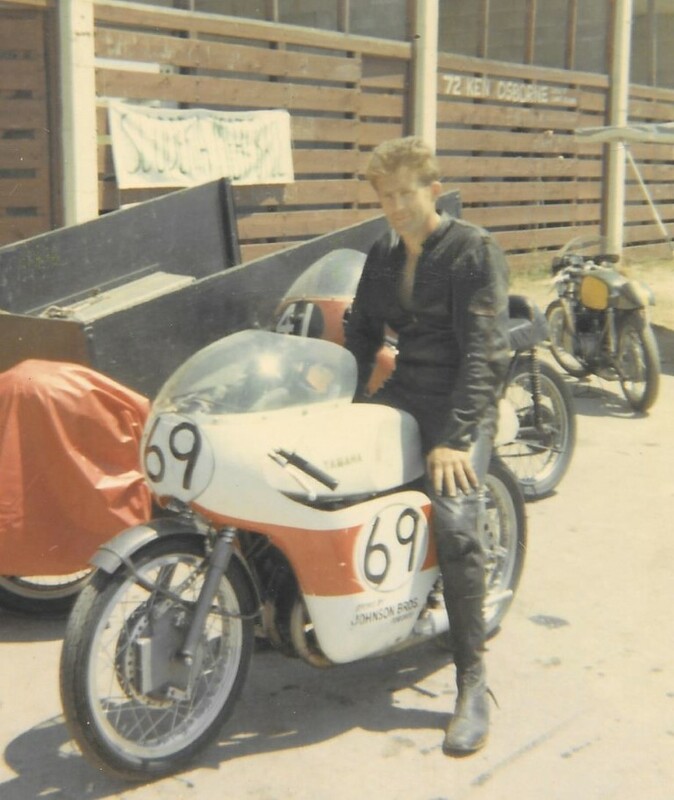 He worked for his friend John Nelson at his Honda shop for almost two years and came out of “retirement” in 1968 to ride a 450cc Honda for John Nelson’s endurance team at Harewood Acres to set the First Canadian Endurance Record. In 2001 Al was contacted by The Isle of Man TT Committee to ride in the Parade Lap. However, that year, for the first time, the race and all events were cancelled. He gets calls now and then from people wanting to stay in touch; his “pit boy” recently called to reminisce. Today, at the age of 84, Al Johnson, the 2015 inductee, enjoys a quiet life in Northern British Columbia with some of his family, his cat and his new passion; his beloved 2014 “Racing Red” Mustang GT420.